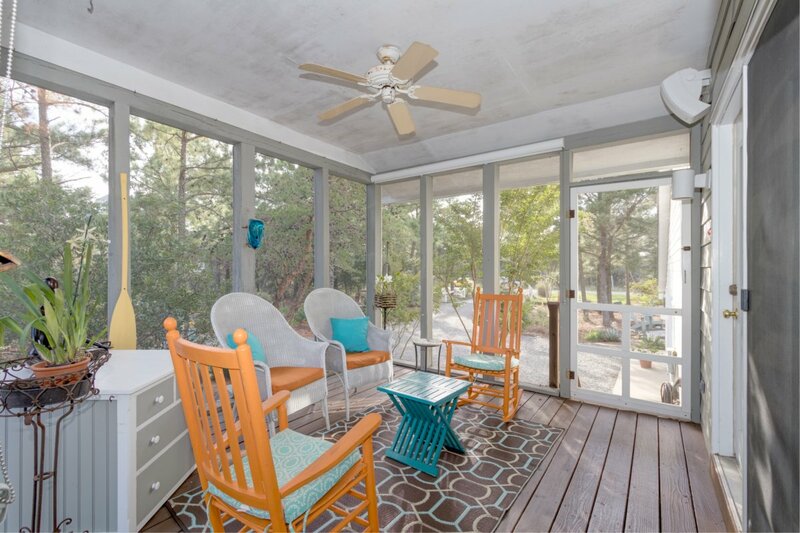 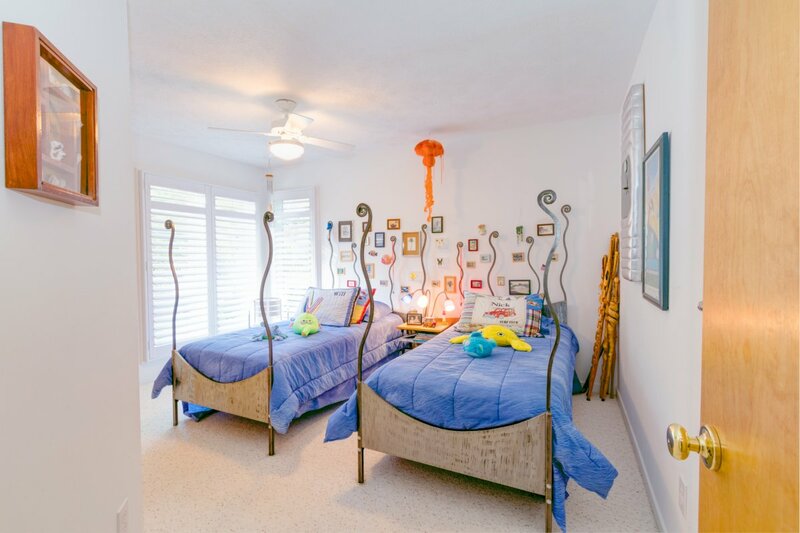 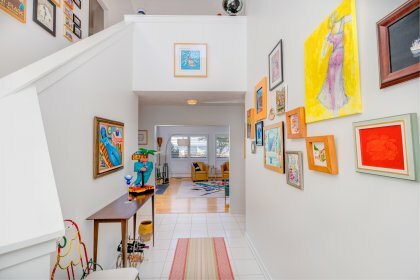 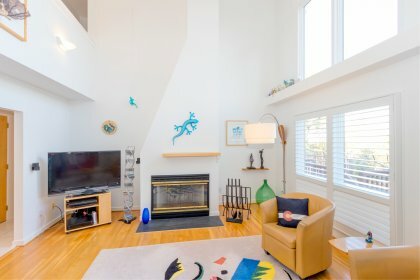 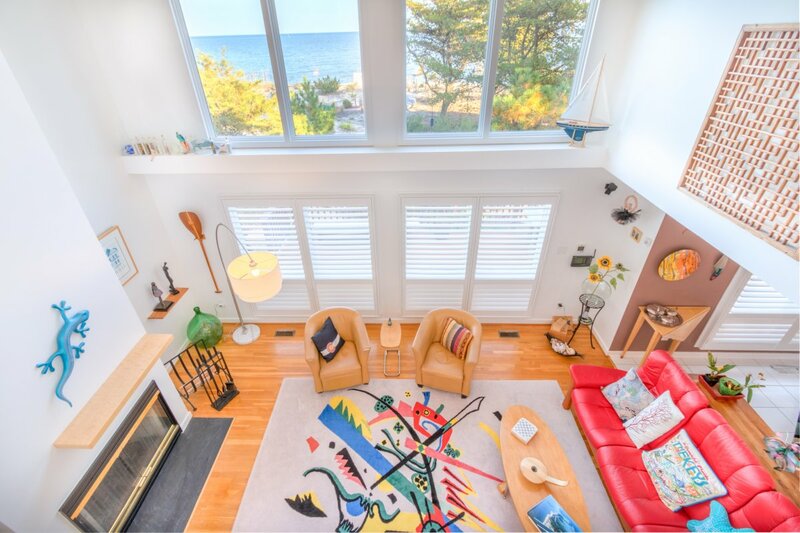 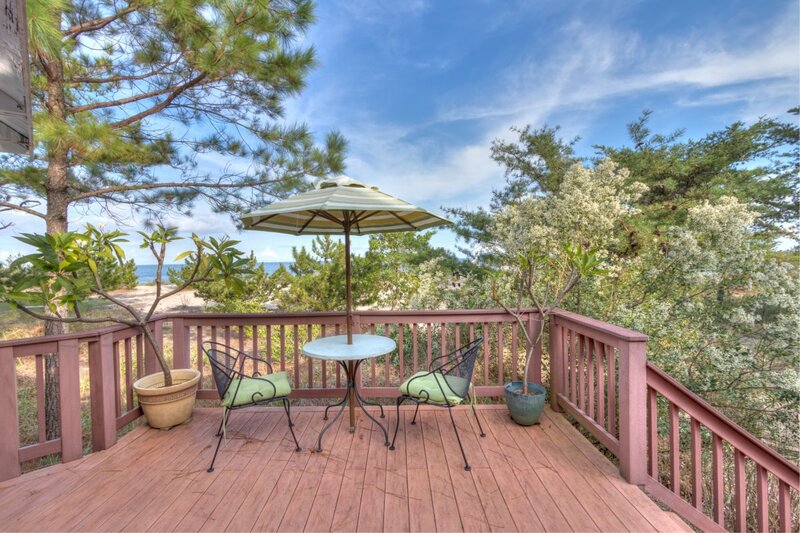 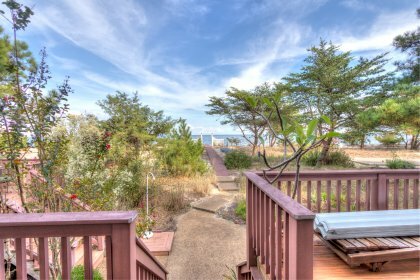 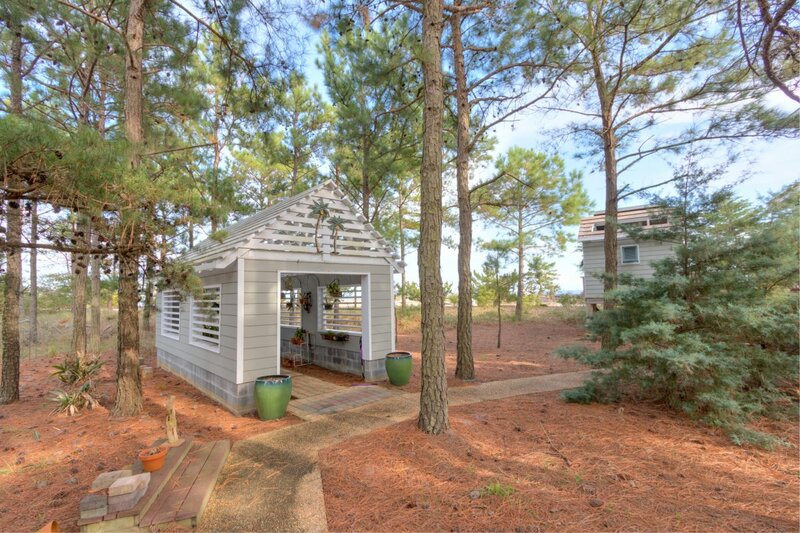 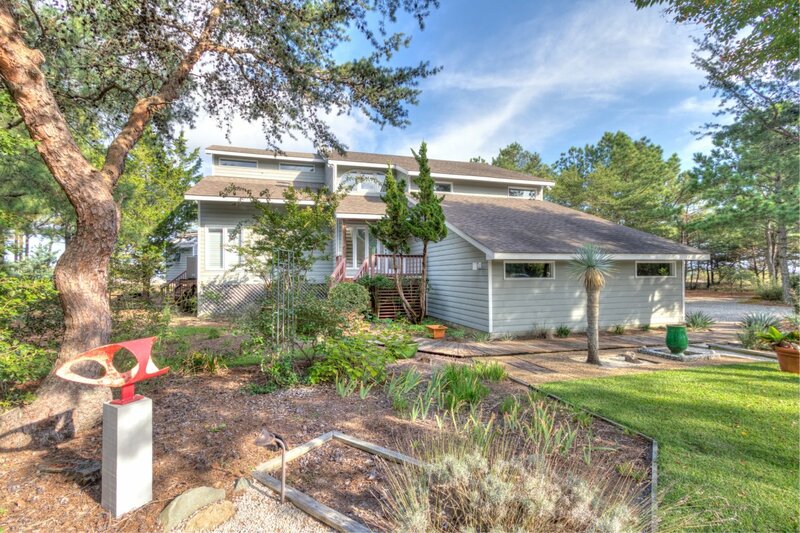 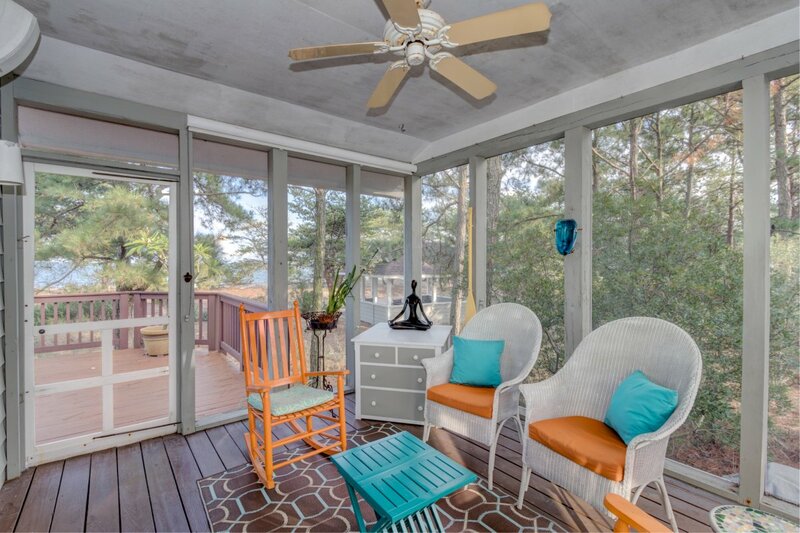 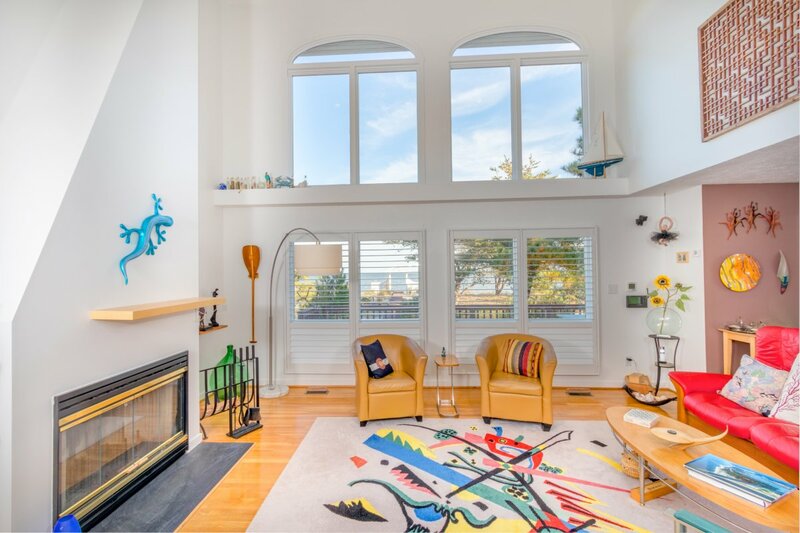 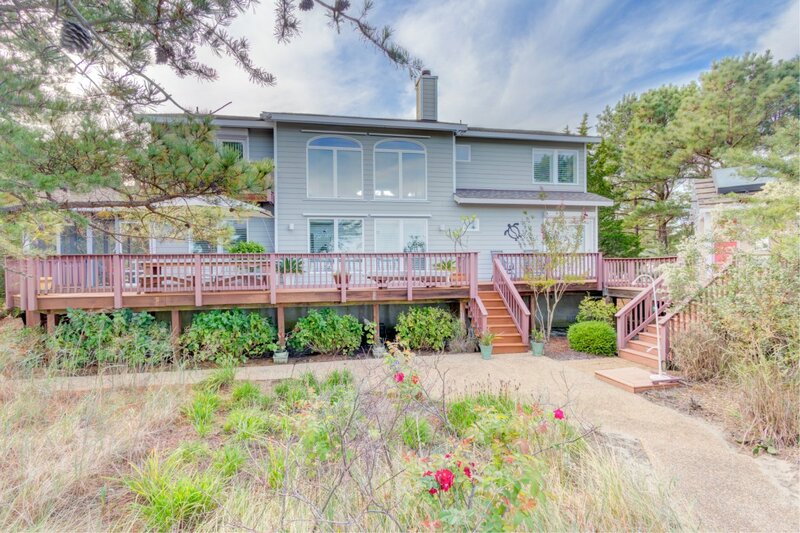 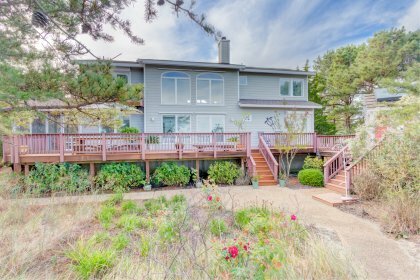 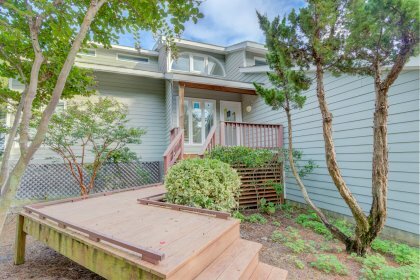 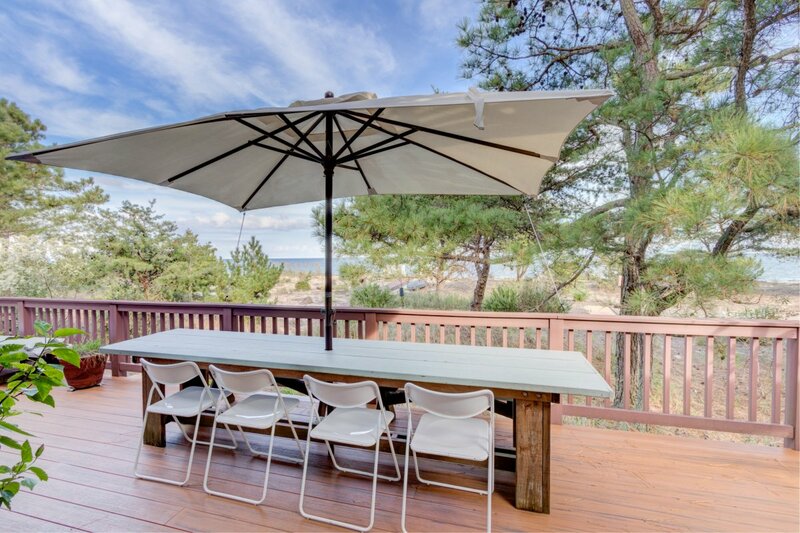 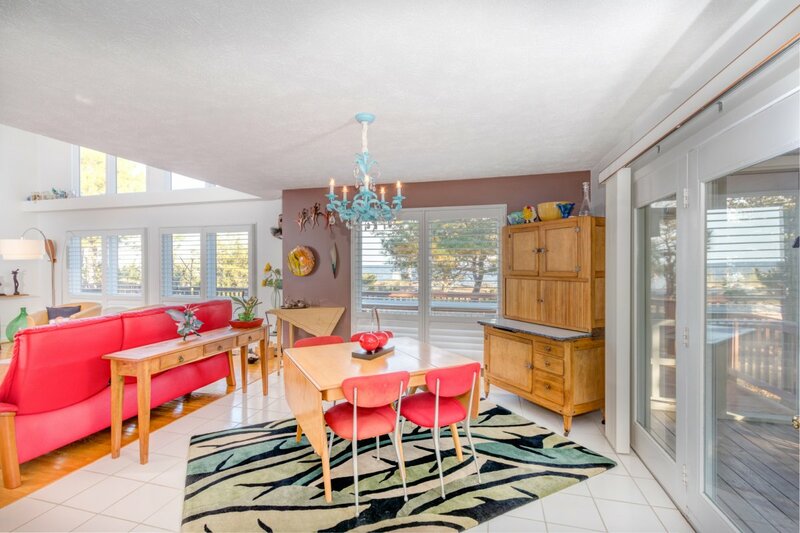 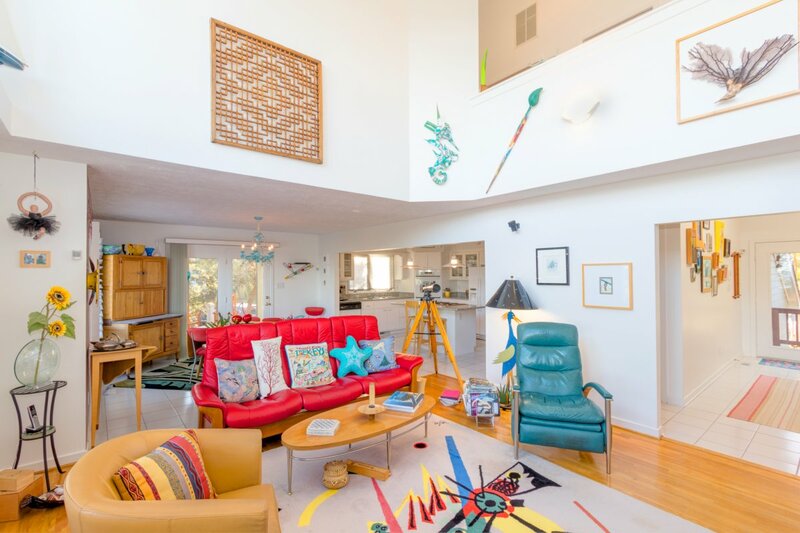 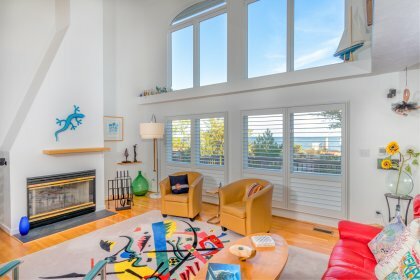 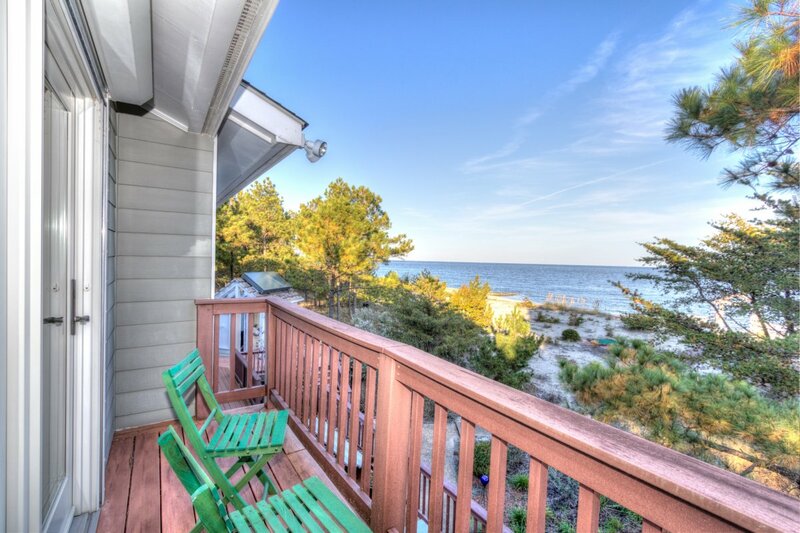 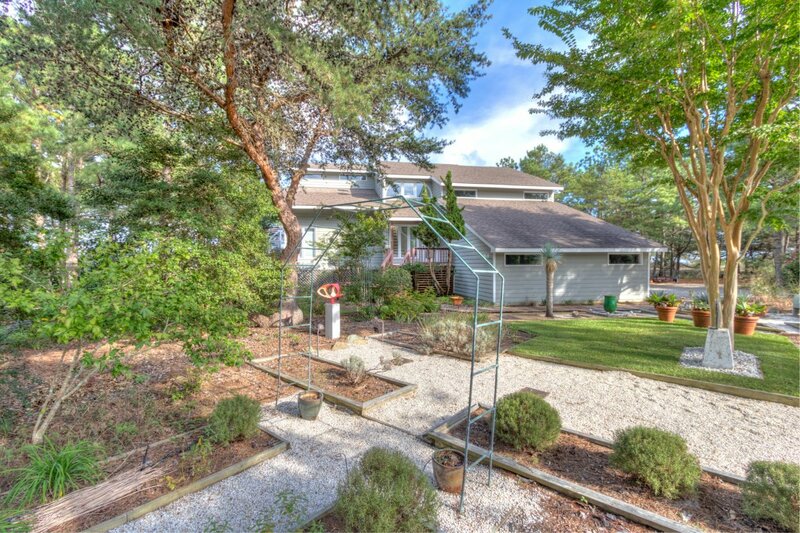 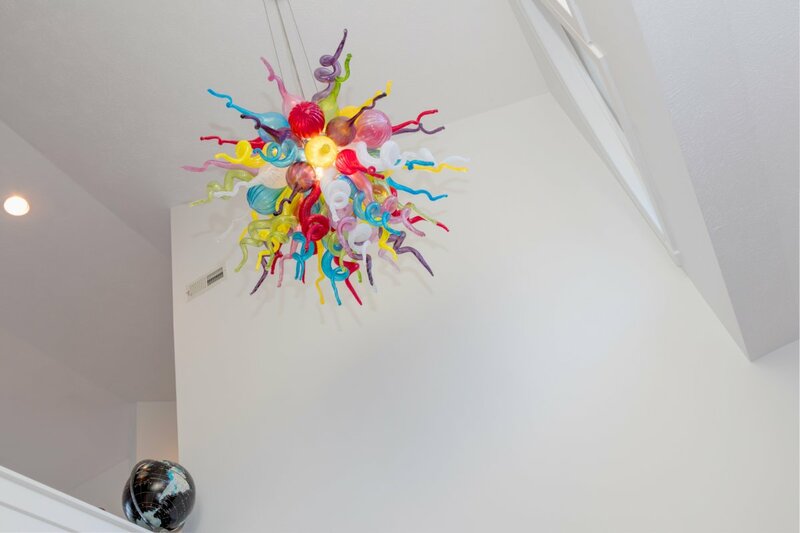 Embrace the beach life at this fantastic home! 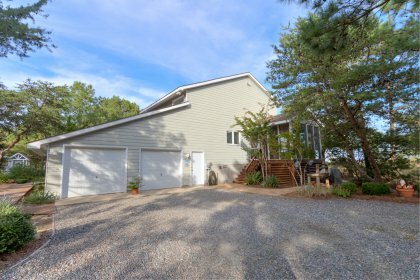 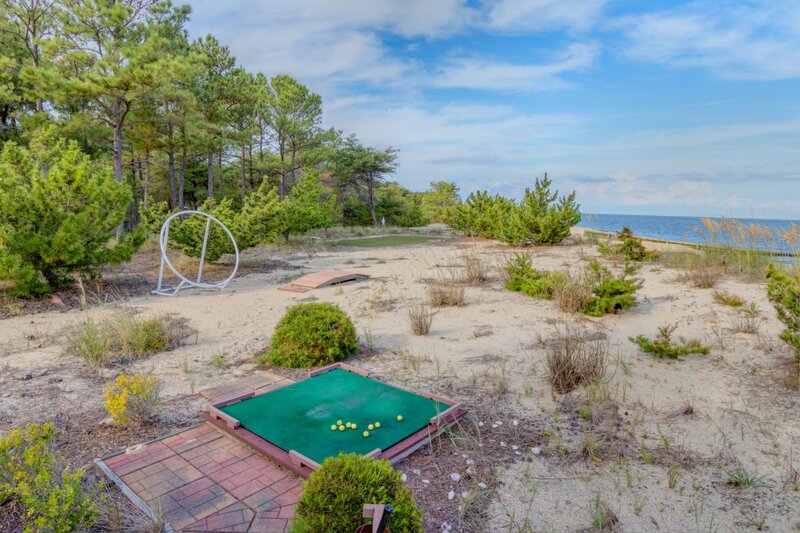 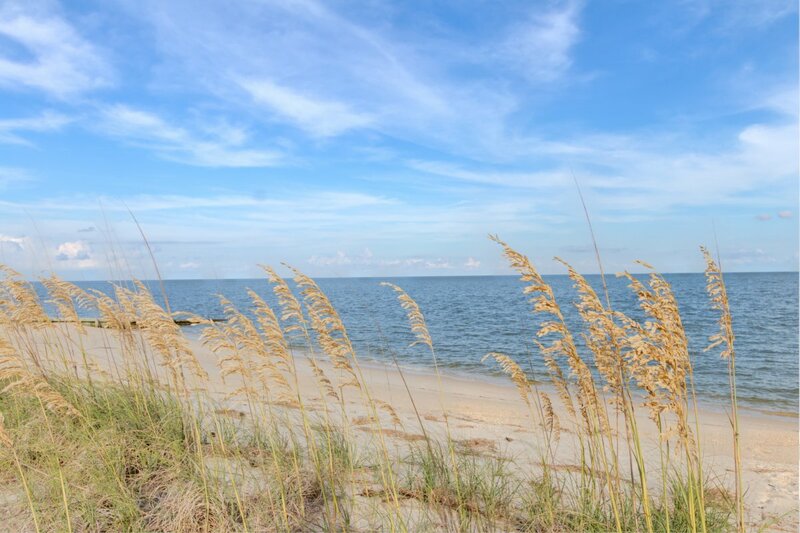 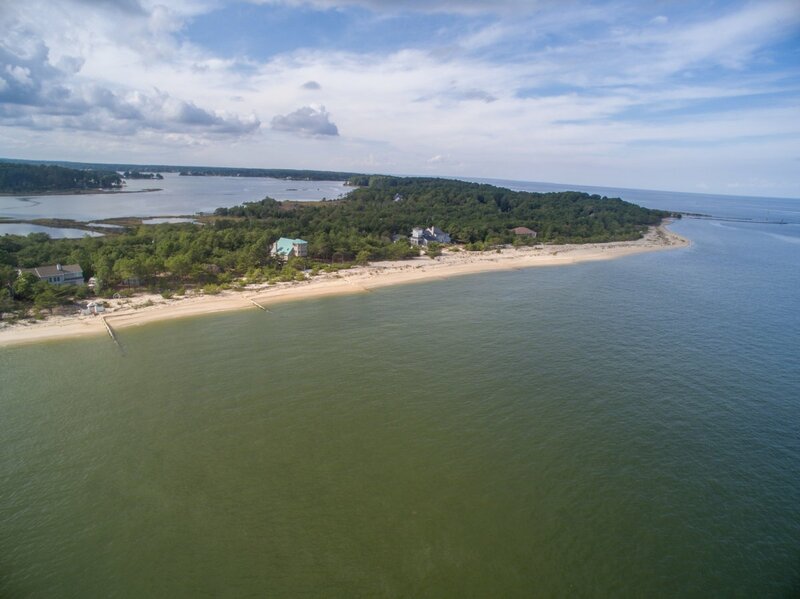 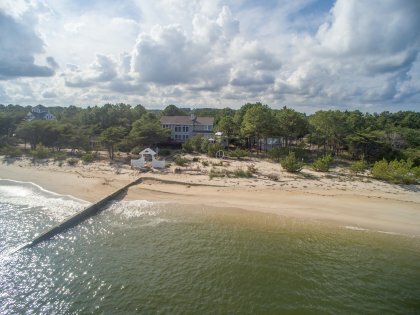 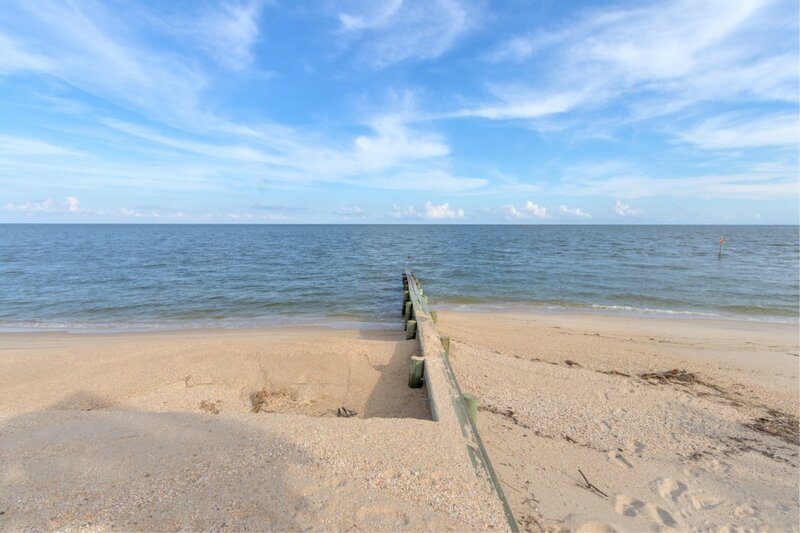 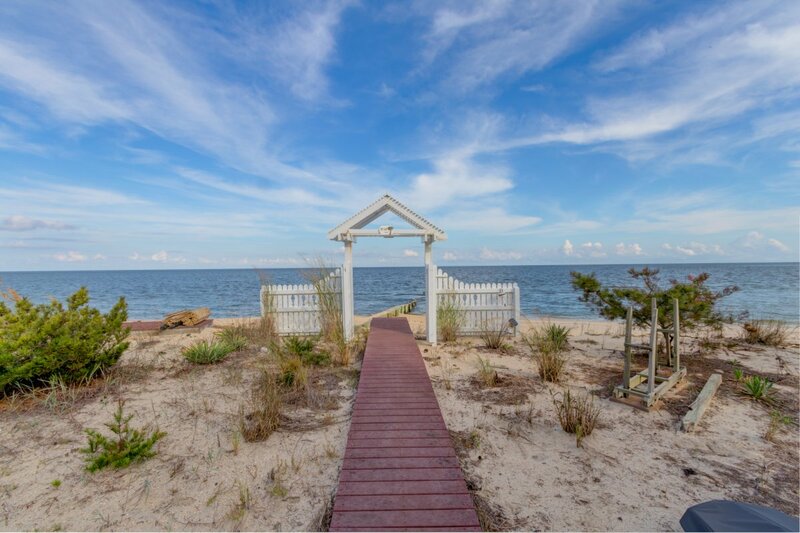 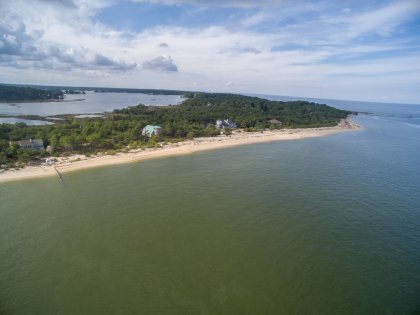 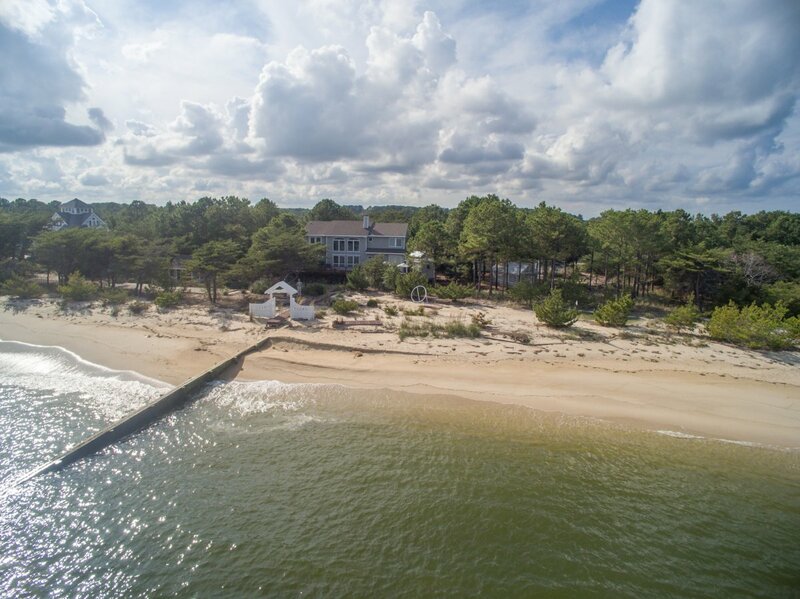 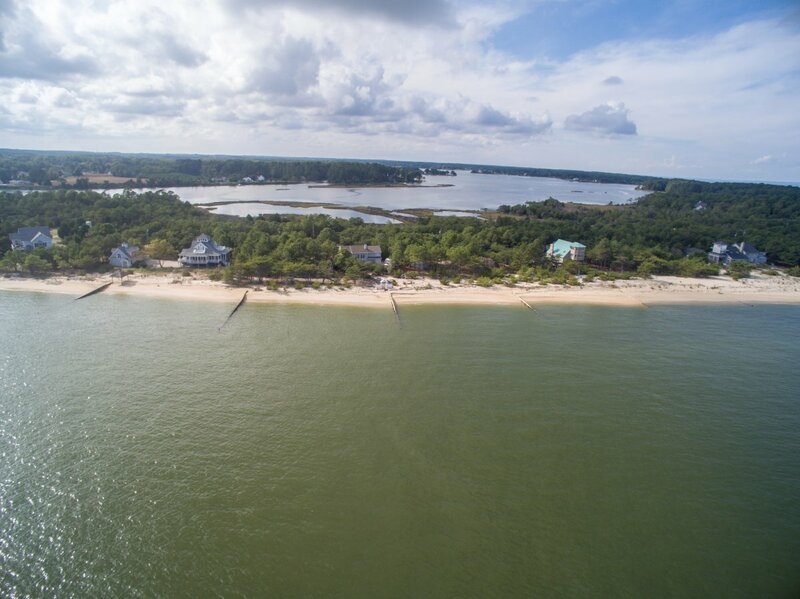 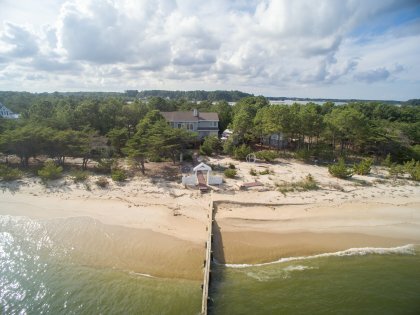 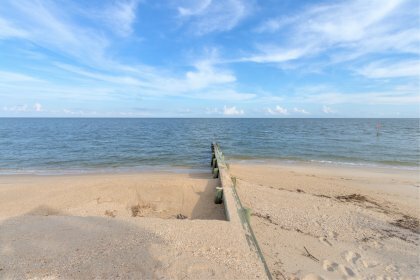 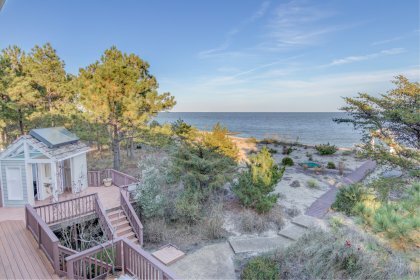 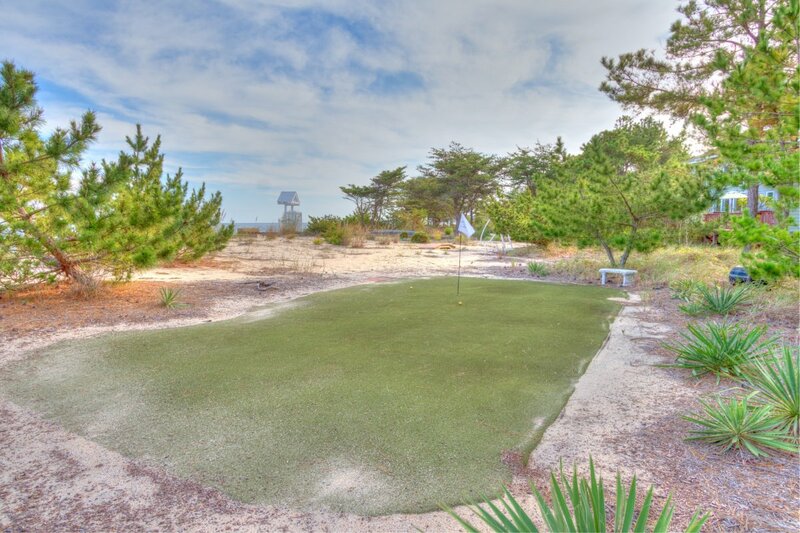 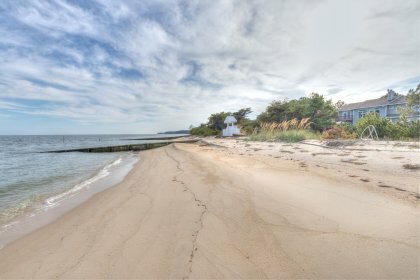 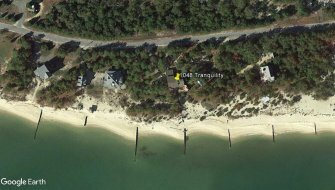 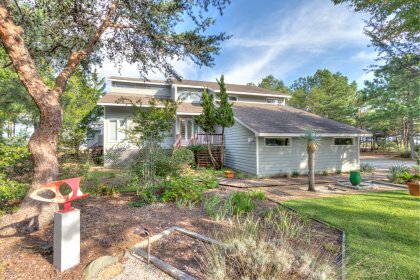 Located on a peninsula formed by the Chesapeake Bay, Little Wicomico River and Rock Hole Creek the private beach is wide and inviting. 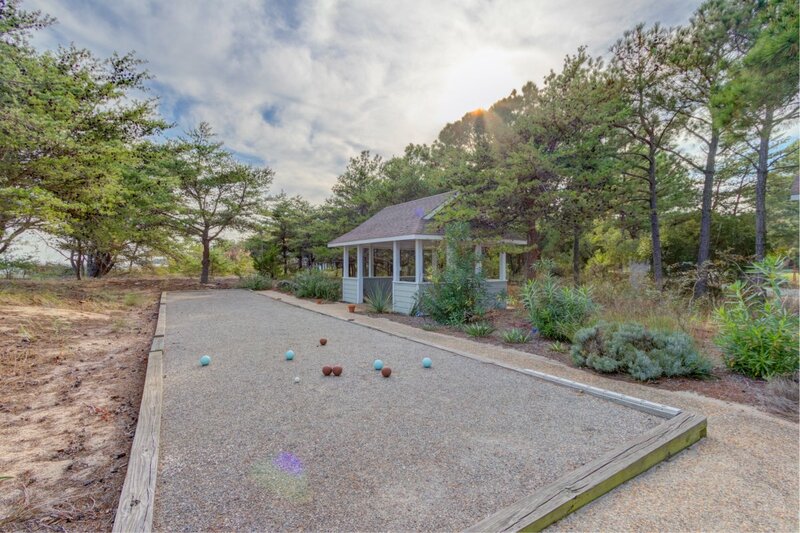 Enjoy amenities found few other places, including a waterside chipping green and a gazebo overlooking a bocce ball court. 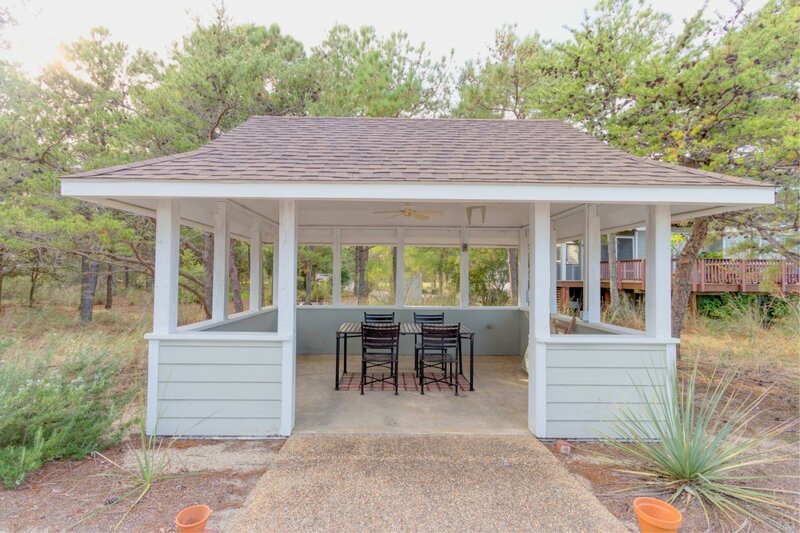 The huge waterside deck provides ample space for parties and dining. 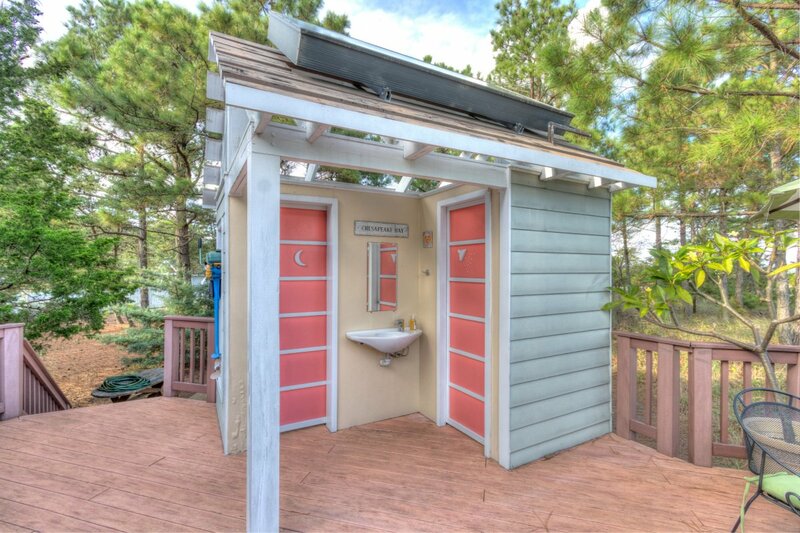 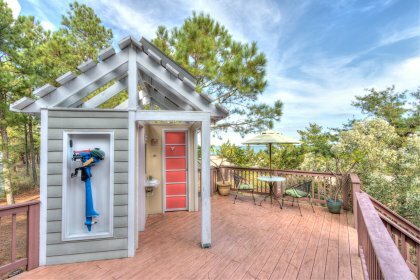 An awesome outdoor bathroom has a shower with solar hot water heater. 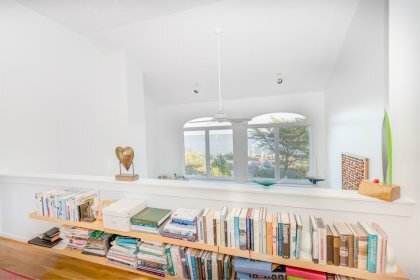 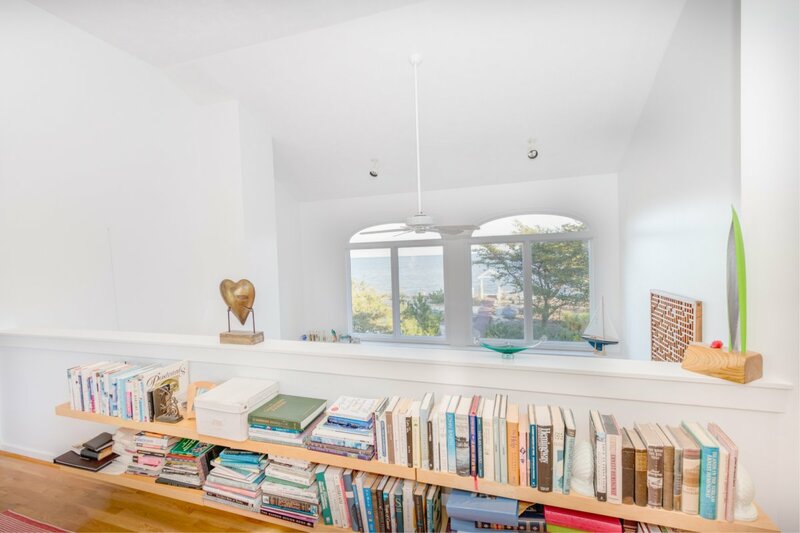 The interior of the home features a wall of windows that bring the Bay into the living area. The open floor plan allows views from the kitchen and dining area as well. 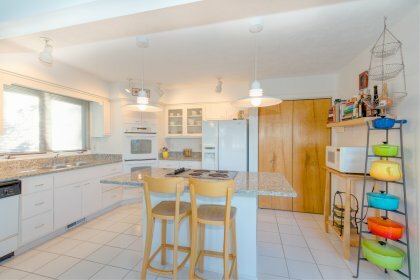 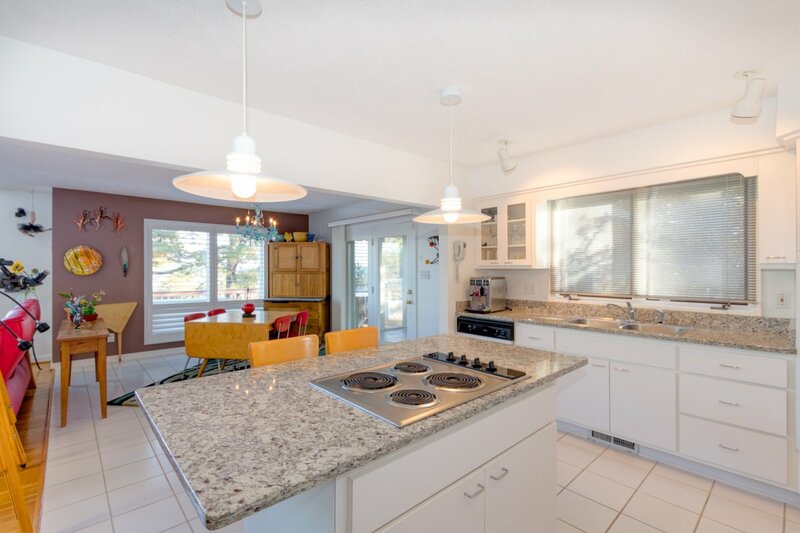 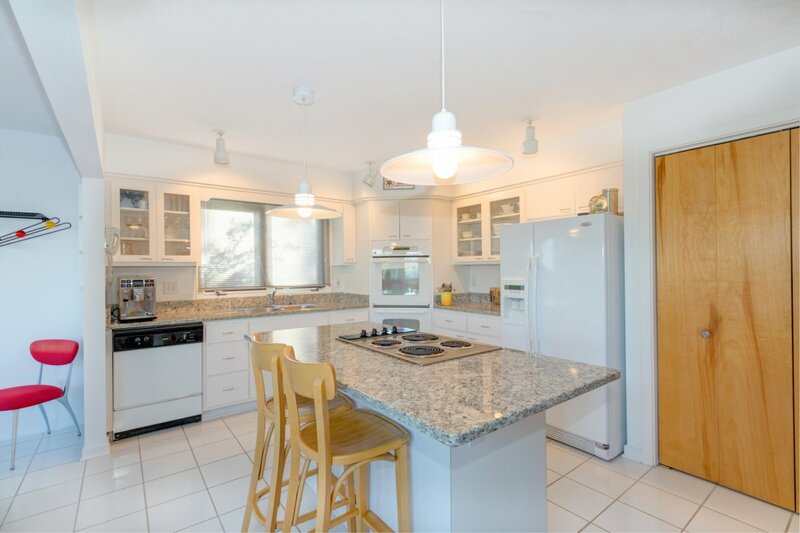 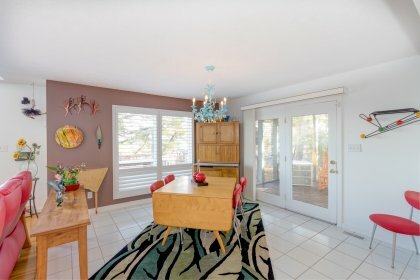 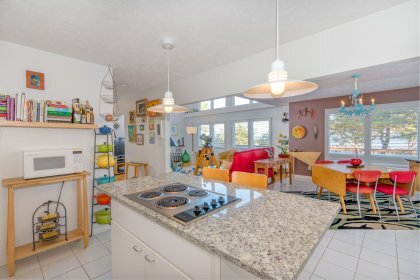 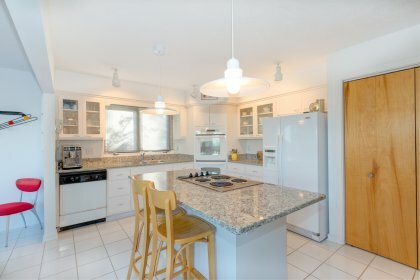 The coastal kitchen is bright and has granite counter tops. 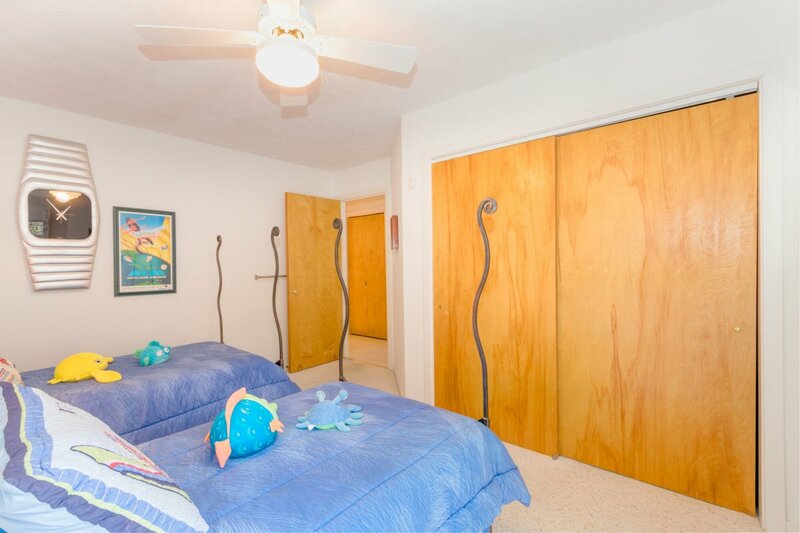 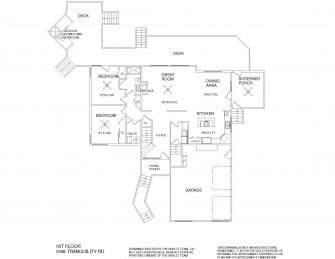 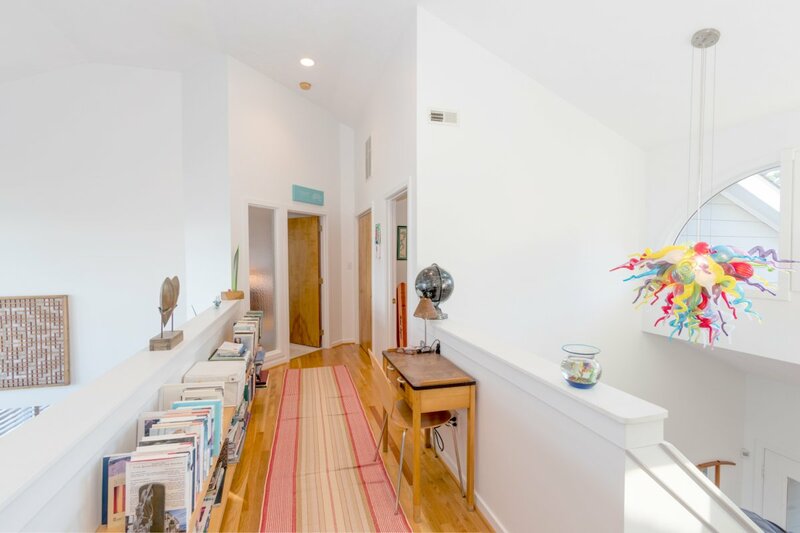 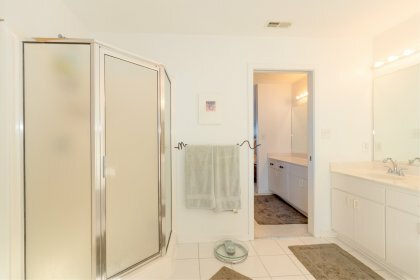 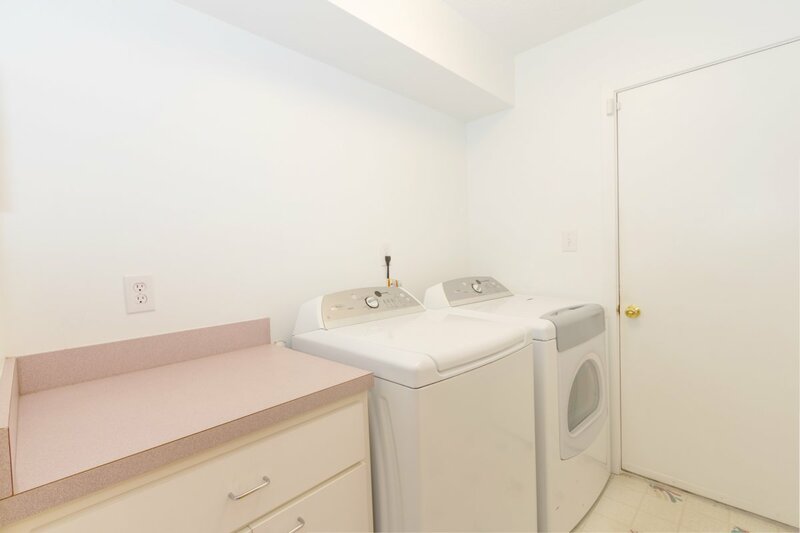 There are 2 guest bedrooms and a full bath on the first floor. 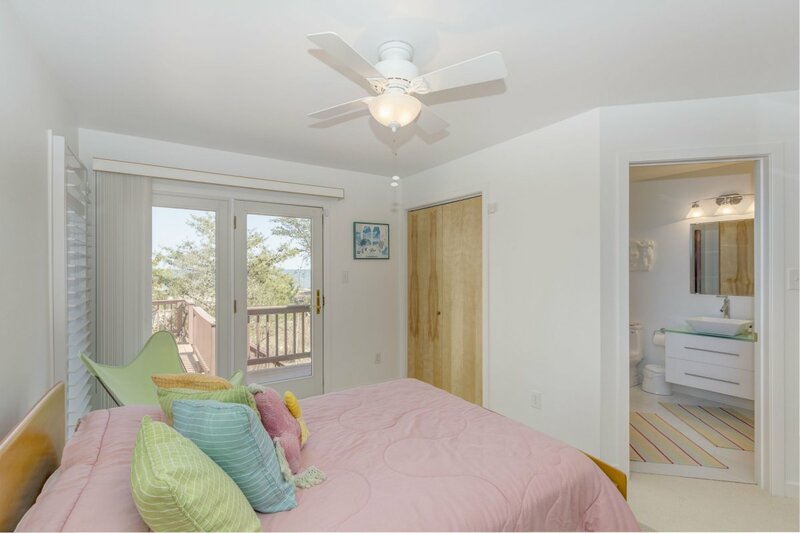 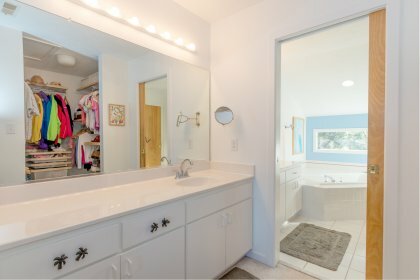 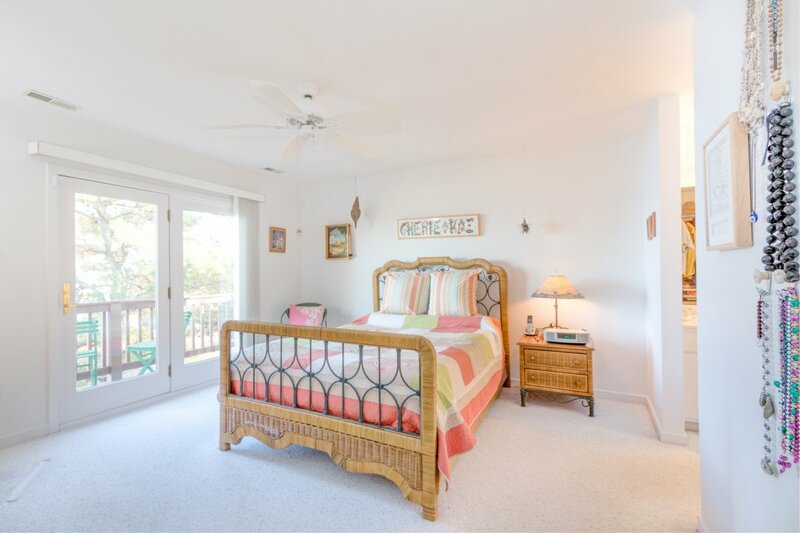 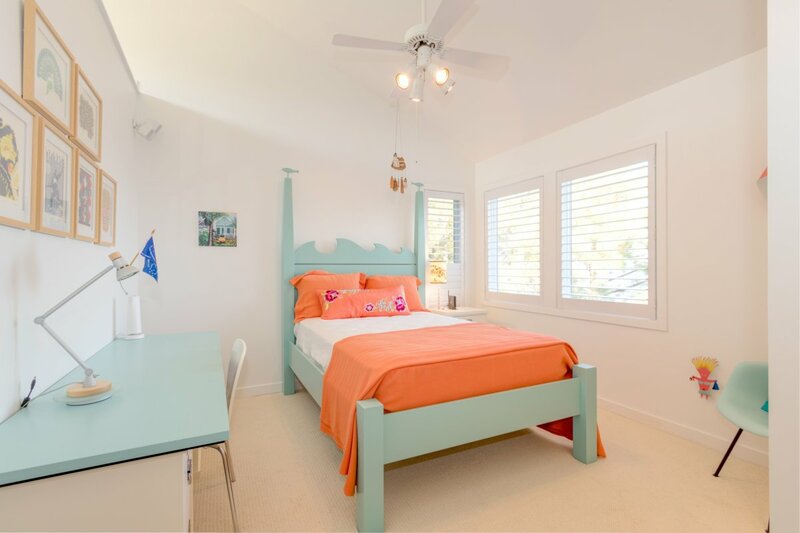 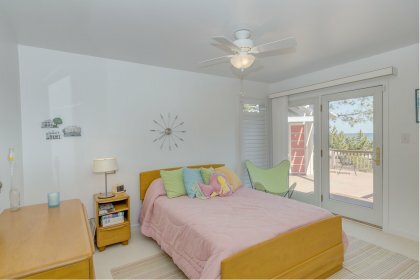 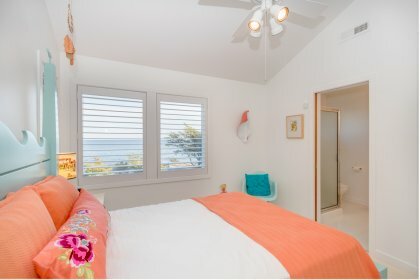 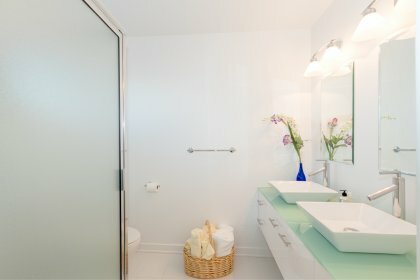 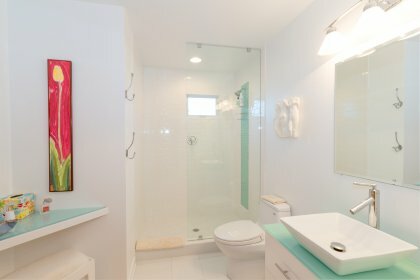 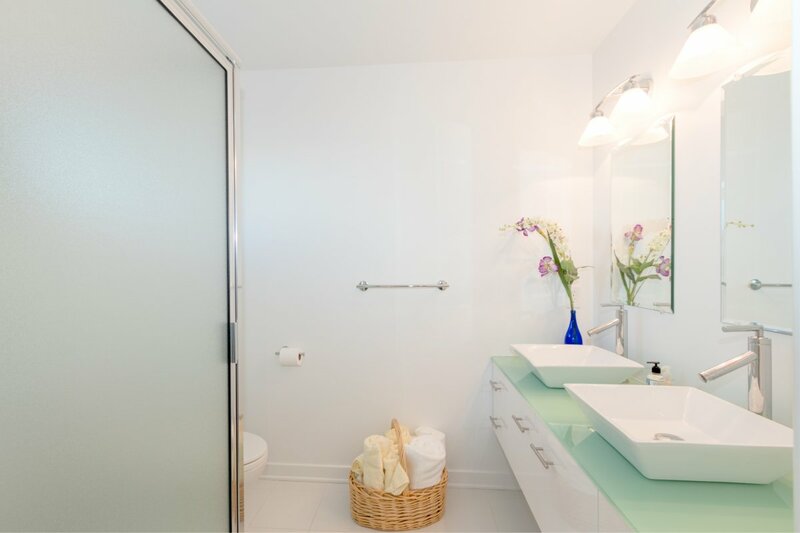 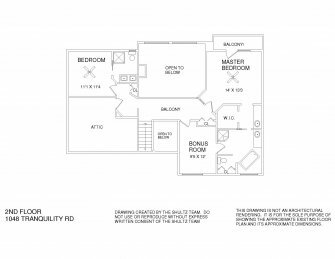 The master bedroom has a balcony looking over the bay, a walk in closet and master bath with shower and tub. 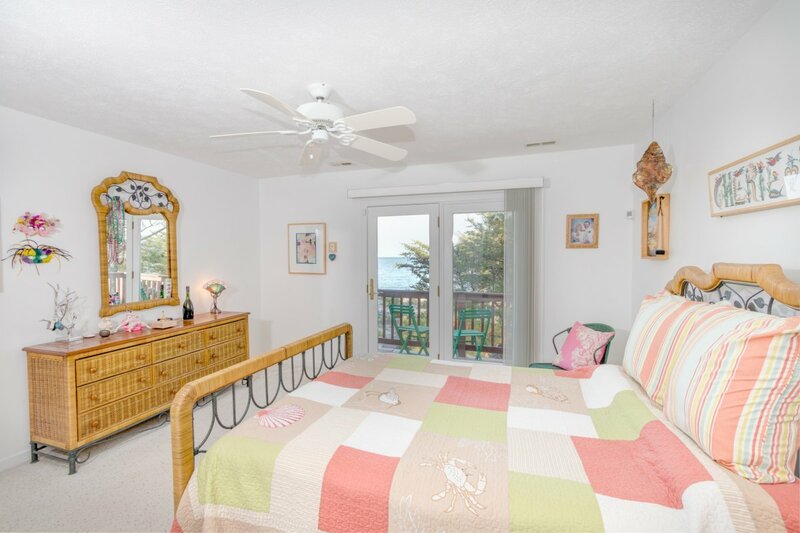 There is a waterside en suite guest bedroom too. 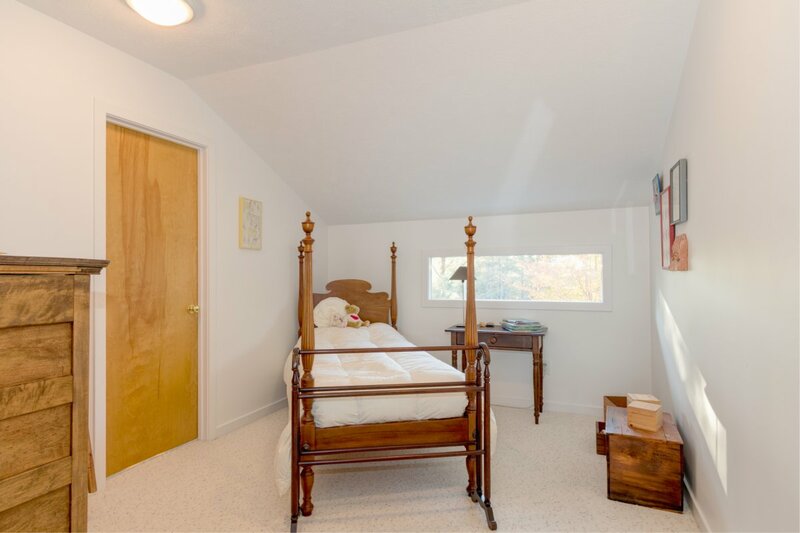 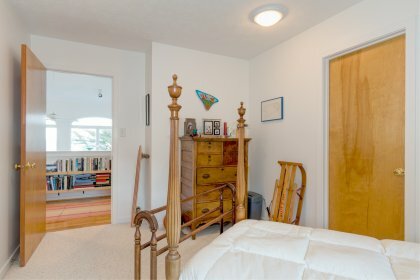 There is an additional room that could be a 5th bedroom or office. 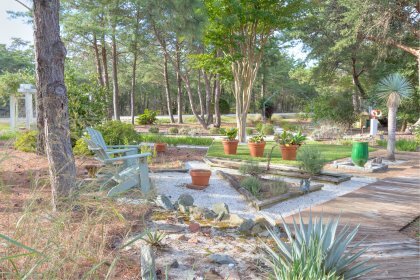 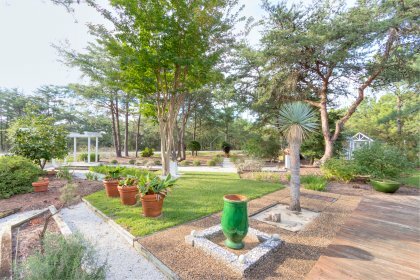 Gravel paths wind through the beach forest with interesting sculptures and plants dotting the landscape. 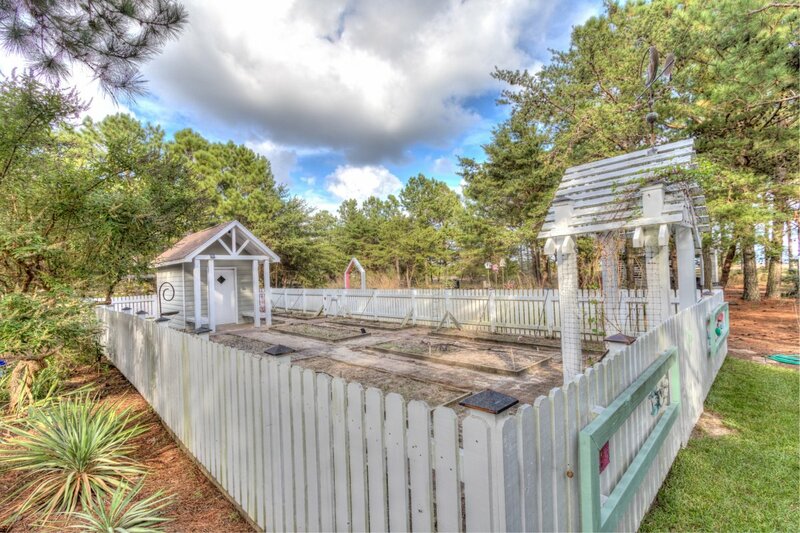 Raised bed garden and slat house are ready for green thumbs! 2 car attached garage. 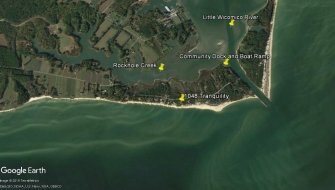 Community boat ramp and dock on Little Wicomico.